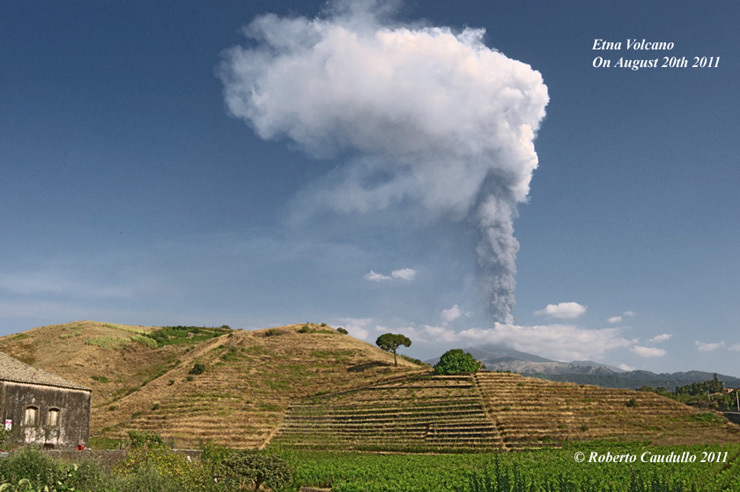 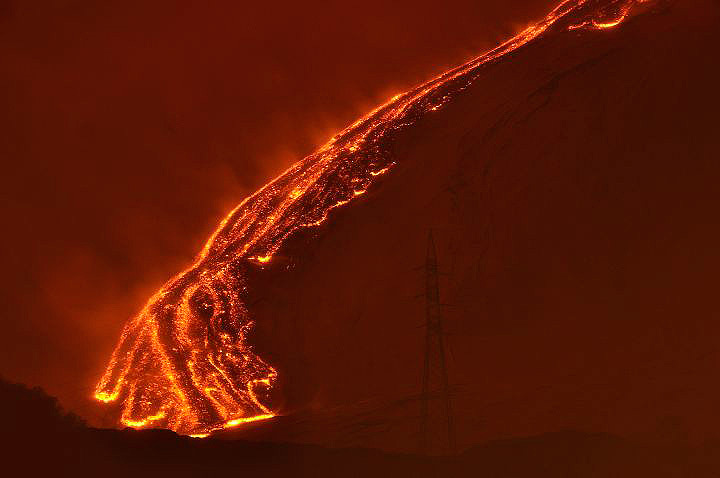 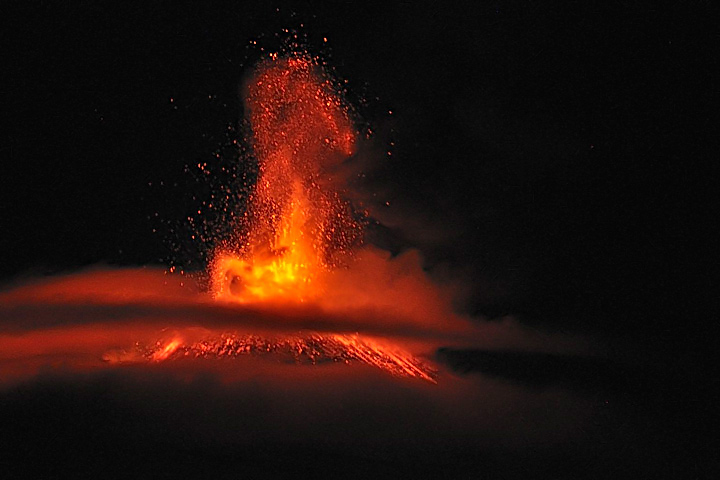 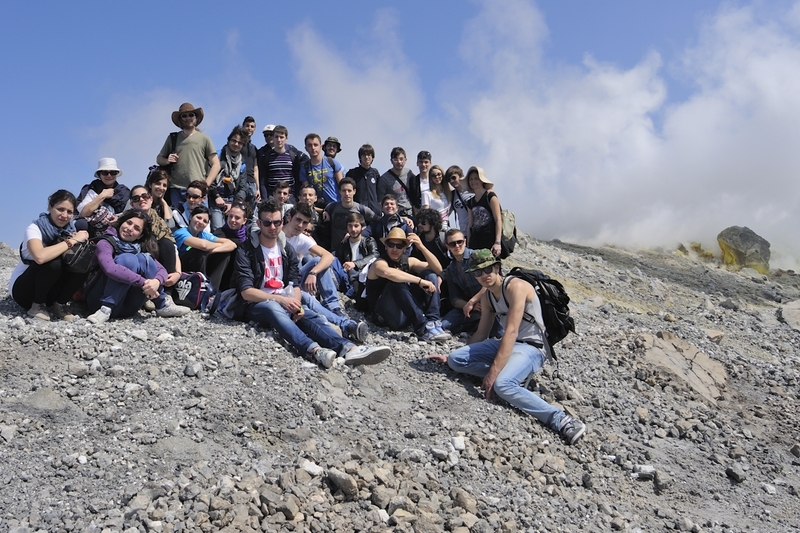 March 18, 2012 – new eruptive paroxysm of the Etna Volcano (22nd since January 2011) from New Southeast Crater (New SEC). 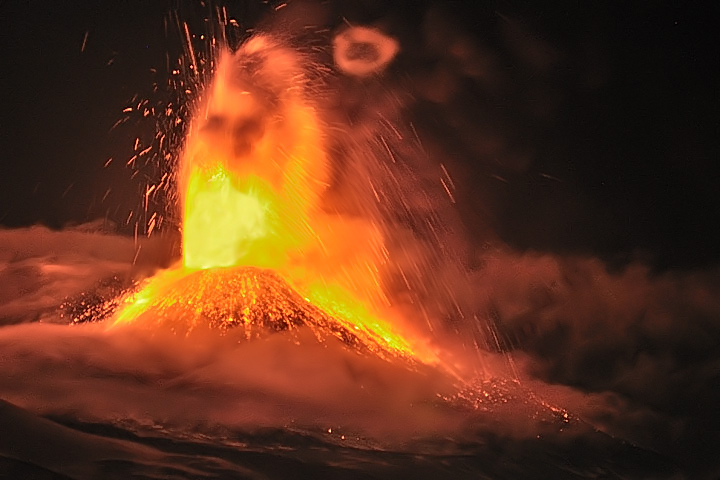 This latest episode occurred precisely 14 days after its predecessor, the paroxysm of 4 March 2012. 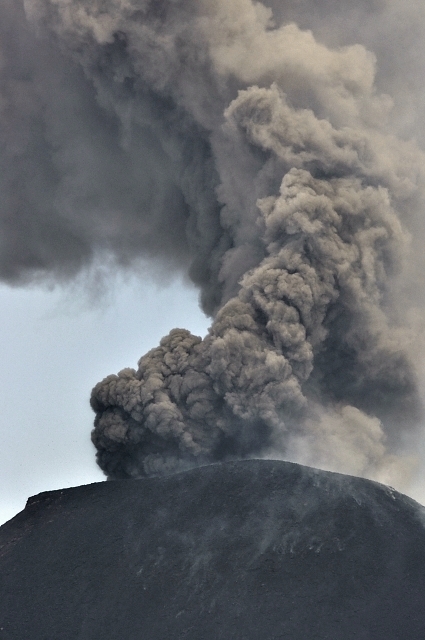 At 09:36 a.m. the ash plume was already 4kms high. 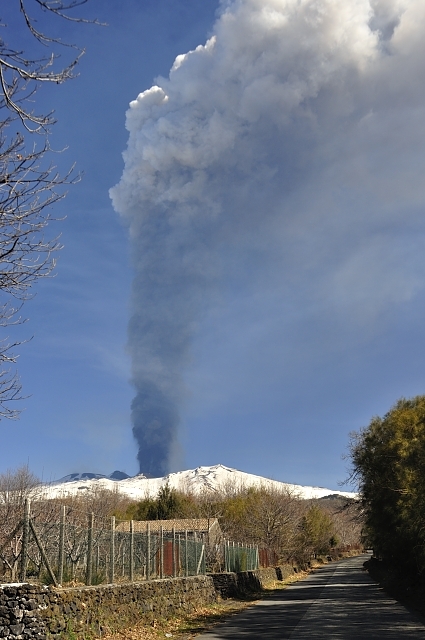 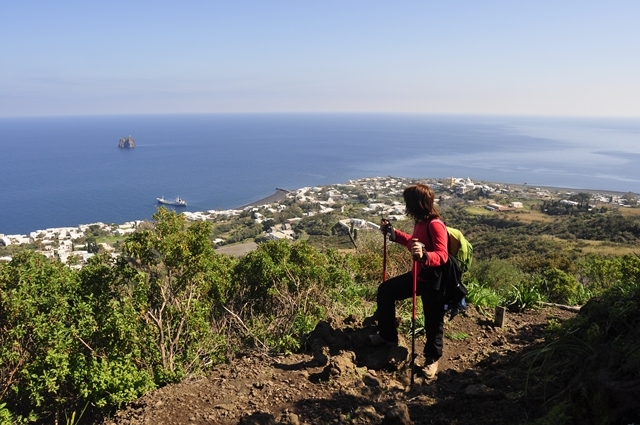 Wind direction took the falling ash over the “Valle del Bove” caldera covering a wide area in the eastern Etna sector. 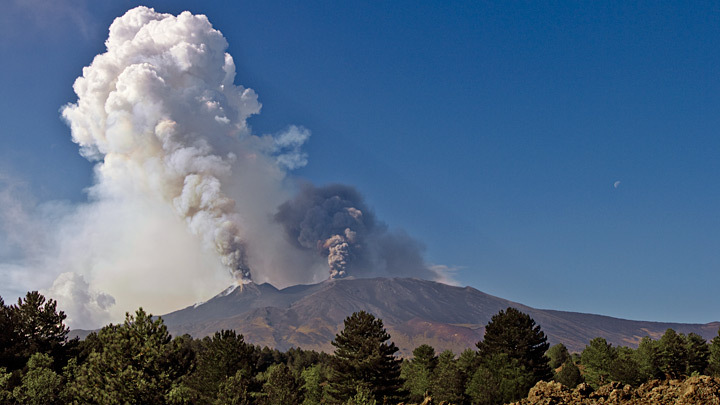 The black ash fall out over the snowed caldera (Valle del Bove) and the flowing lava front from the South East crater on the left side.